This Situation Update describes events and issues occurring in Ler Muh Lah and Ta Naw Th’Ree townships, Mergui-Tavoy District, prior to and during the reporting period of January to June 2015. These include militarisation, violent abuse, land confiscation, development projects, and education. 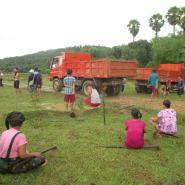 This Situation Update also describes villagers’ responses to land confiscation. Villager Saw A--- was struck ten times with a stick by Tatmadaw Operations Commander (G3) Tin Soe on March 3rd 2015, as he had hung the Karen national flag in front of his house. Operations Commander Tin Soe forced Saw A--- and other villagers to remove any Karen flags from their houses. In Pa Saw village tract, Ler Mu Lah Township, the Asian World Company has used land confiscated from villagers in 1997 as a palm oil plantation. 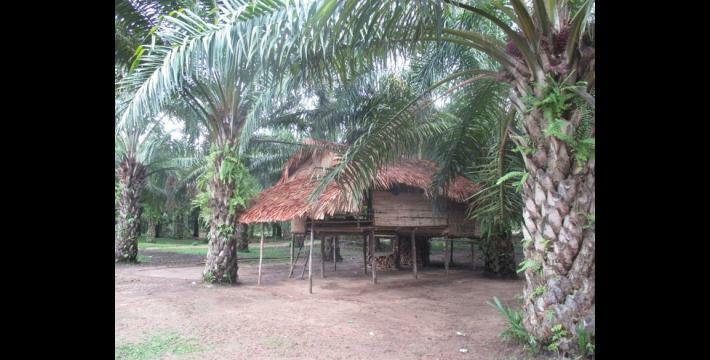 Following the signing of the preliminary ceasefire the villagers have returned to their land and rebuilt their houses amongst the palm oil trees. 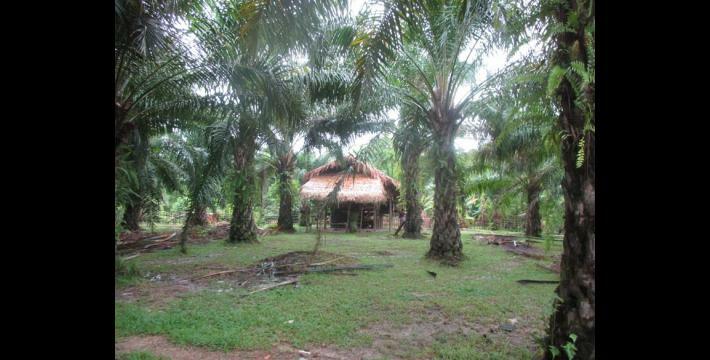 The Asian World Company ordered them to relocate, but the villagers refused. In 2014, further land was confiscated from villagers in Ma Saw village tract, Ler Mu Lah Township, by Malaysian company, The Myanmar Stark Prestige Plantation (MSPP). 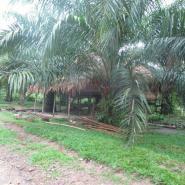 The company has begun clearing vegetation and planting palm oil trees on the land. The villagers submitted a petition to the Karen National Union (KNU) concerning MSPP’s actions and appealing for compensation. KNU and Burma/Myanmar government staff helped the villagers to reclaim 150 acres of land from U Aung Win, who had previously confiscated 1,700 acres of the villagers’ land. Burma/Myanmar government schools are allowing Karen language to be taught, but the subject is not scheduled during regular school hours. The following Situation Update was received by KHRG in June 2015. It was written by a community member in Mergui-Tavoy District who has been trained by KHRG to monitor local human rights conditions. It is presented below translated exactly as originally written, save for minor edits for clarity and security. This report was received along with 61 photographs from Mergui-Tavoy District. I want to report this situation update in Ler Muh Lah Township from January to June 2015. The information in the report is regarding the Tatmadaw’s activities, education, the villagers’ situation, private companies’ situation, and human rights abuses. The Tatmadaw are based in many places in Ler Muh Lah Township. In Htee Moh Pya area, the Tatmadaw camp is based in Naw Tee village, [but] the villagers did not report any abuses committed by them, [the Tamadaw, during the reporting period]. They [Tatmadaw] also setup a gate [checkpoint] in Ler Hpa Doh village. They demand taxes from the villagers when they [villagers] sometimes go there. They upgraded [improved] the road they use for resupplying their rations, in order for them to [be able to] travel more easily. The road [has been] upgraded from Pyi Cha village to Naw Tee village, [and] even to their army base. In our area there is [Light Infantry] Battalion (LIB) #280 which is based next to Pa Soh Oo village. The MOC [Military Operations Command] #12 is based on the villagers’ land and a military training camp is also based in there. They sometimes launch heavy weapons during training and they are launched beside the villages. In the past they cut down the leaves used to make thatched shingles which were owned by the villagers, without compensating the owners, however after the villagers reported [the incident to the village leaders] they gave compensation to them. [LIB] #285 is also based in our area [Ler Muh Lah Township]. [LIB] #101 is based in Ka Pyaw area. They are improving their army camps and resupplying their rations by car and motorboat. They have [also] stopped villagers’ motorboats and demanded petrol. They disrupt the villagers, because if they [villagers] have brought fish with them, they demand it from them. I do not know [the names of] the commanders who lead those battalions. In Ler Muh Lah Township there is a KNU [Karen National Union] clinic which is based near the township office. This clinic was built in 2013 and it is very useful for the villagers. The villagers who cannot be treated [at that clinic] go to the [other] KNU clinic which is based in Ler Muh Lah Township. They [KNU health workers] also went to conduct basic understanding of healthcare [training] in the villages. In the past, the villagers encountered health problems because there was no clinic and no health workers. Also, they [villagers] were not able to treat the patients [as they did not have training], therefore the patients died even though they could have been treated. Currently, we can see that the situation is improving a little in terms of healthcare. The [Burma/Myanmar] government has also built clinics in many villages. Sometimes they [government health workers] come to provide stitches and anti-biotics for children and pregnant women. It is very helpful for the villagers who are located close to those areas. 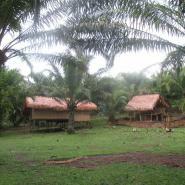 Three Karen schools are located in Ler Muh Lah Township. One high school is located there [Ler Muh Lah Township] and another two schools are located in Ta Hpee Lay Hkoh and Ta Muh Ta Hkuh villages. They are KNU schools which are run by the Ler Muh Lah Township administrators. There are many Karen people unable to go to school because they do not have enough money to pay for education. The schools are very useful for the Karen people and the teachers make sacrifices in their lives [to teach] as volunteers. The students are very keen to gain their education. [Education has] brought many advantages for the parents who are not able to support their children. The teacher counted the number of Karen people who live in the villages. The government schools which are based in villages are allowed to teach Karen language, but the government does not allocate [school] time [it is not allowed during teaching hours]. Teaching [Karen language] is allowed differently [after or before teaching hours]. Most of the teachers who teach in the government school are government teachers. They have to go back [to the town or city] for training, and this affects the students and it was reported by the villagers [to the KHRG community member]. In the past there was no opportunity to teach Karen language, but now we have gained the chance to teach Karen language. [We are] very grateful for the opportunity for the Karen people. There are 80 villages located in Ler Muh Lah Township, and most of the villagers are earning their living from plantations, animal husbandry, and farming. There is no suitable work [opportunities] for them to [earn a living] like rich men. Some of the villagers are working as labourers, so some of the villagers have enough food, but some of them [villagers who have to work as labourers] do not. During the war period some villagers became displaced. [Following the preliminary ceasefire], we have seen some return back to their own villages which had been abandoned by them. The destitute villagers are earning a living by working as labourers for a company [owned by] wealthy businessmen. They are driven by a company to [the work location]. In May 2015, they [the villagers in the truck on the way to work] were hit by a [another] car and many of them were injured and two of them were killed. It caused a problem for them [the labourers]. One person was found beheaded on May 4th 2015 in K’Suh Hkee [in her home] by the work site. The perpetrator has not been identified yet [as there has not yet been an investigation] and we have not [received] accurate [information] about the incident yet. The villagers are afraid because of the incident that occurred there. In Ler Muh Lah Township there are many companies which are based in the area. 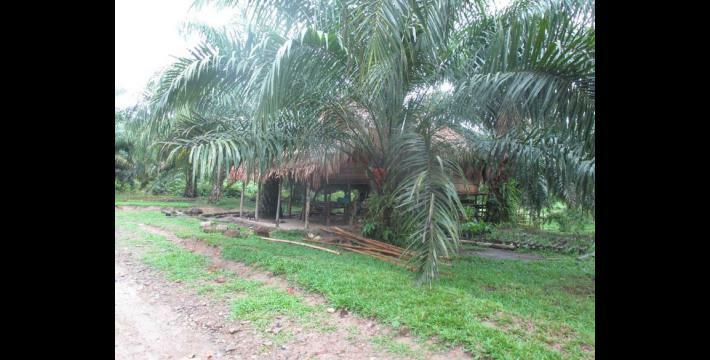 Malaysian company the Myanmar Stark Prestige Plantation (MSPP) is based [operating] in Ta Hpoh and Baw Ta Naw areas. 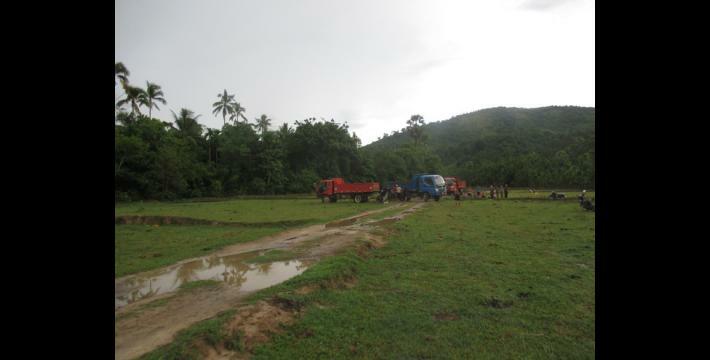 The company operates in many areas [in southeast Burma/Myanmar] and has set-up projects in different places. 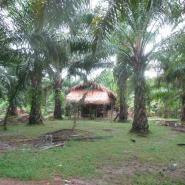 The MSPP Company planted palm oil [trees] on many acres of land. The [Burma/Myanmar] government gave them permission to work on 2,000 acres of land, but they took more [than this allocation]. Those [the acres used by MSPP] are the lands of villagers which have been confiscated. The villagers submitted the case [as a petition] to the [local] KNU leaders and requested the KNU bring the issue to the [KNU] congress [in Law Khee La]. [During the congress], they [KNU] leaders decided they would take the car keys from [MSPP Company employees] [if they did not stop working on the villagers’ lands], but they are still working [on the villagers’ lands]. 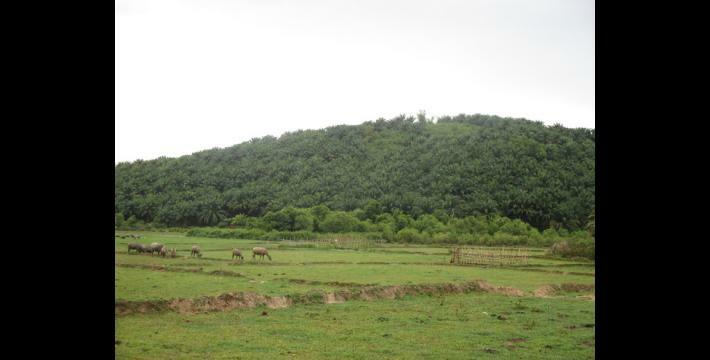 The Htoo Bgaw and Kha Eh villages are based in Pa Saw area, and the Asia World Company planted palm oil trees on around 8,000 acres of land there. 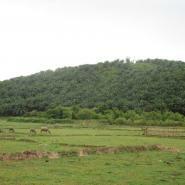 That is land which had been confiscated [from villagers] during the war period [in 1997]. 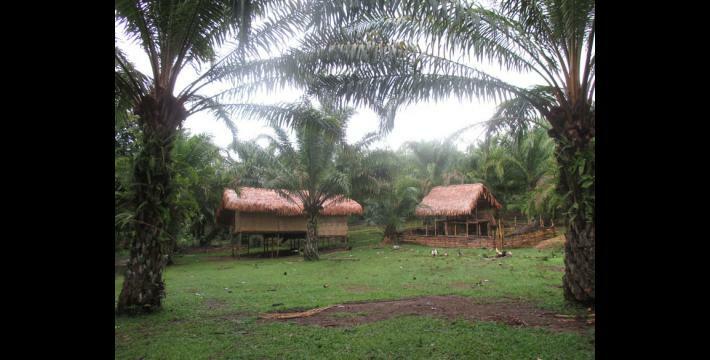 In 2015, the villagers returned and constructed their homes under the palm trees. They [Asian World Company] requested the villagers relocate from there, but they did not relocate. 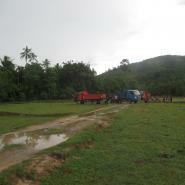 The company funded construction of a road for the villagers, but the villagers had to carry out the construction themselves. The wealthy business people [Myeik Public Corporation] are planning a [biofuels] project in the low part of Thin Baw Oo area [village tract], Ta Naw Th’Ree Township. It will cover [an area from] Toh Tee Hta to K’Wer Hta River. The project will operate on both sides of that river. They wrote a letter to the Burma government [asking] for permission [to use the land]. The Buh Thaw Plaw [Thin Baw Oo village tract] area administrator Saw Htoh T’Lay has recommended that the land which was requested by the wealthy business people is not the villagers’ land, used for working and living. The villagers who are situated there are very concerned for their future livelihoods. The Tatmadaw is based in B--- village, Htee Moh Pya area, Ler Muh Lah Township. Uncle Saw A--- was beaten [struck] with a stick by Operations Commander (G3) Tin Soe ten times on March 3rd 2015. He was beaten, this uncle, because he put the Karen flag up in front of his house. He [Operations Commander (G3) Tin Soe] forced the other villagers who put up Karen flags to withdraw the flags. [Villagers from] Ta Hpoh Hkee village based in Ta Hpoh area, Ler Muh Lah Township, [Mergui-Tavoy] District were forced to relocate by the Tatmadaw in 2000 and moved their houses to an area beside the vehicle road. These villagers who migrated to [the vehicle road] built their houses on other villagers’ land. 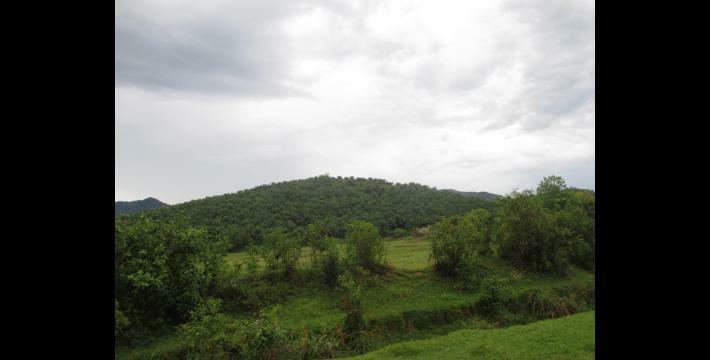 One of the land owners claimed compensation from the villagers who are now situated on the land. [One] land owner demanded 50,000 kyat (US $43.22) in compensation from each household. The other land owners saw that the [land] owner received compensation, therefore they also claimed this price for the land. The owners of the land are not situated there. The villagers who live there paid the money [for compensation] if they could, but for the villagers who could not pay that amount of money, they were chased off by the [land] owners. The land owners have claimed this compensation for their land after the [preliminary] ceasefire has taken place and it has caused internal conflict among the villagers. The villagers were relocated by the Tatmadaw, therefore they had to live according to the situation [they did not have a choice as to where they could live]. Military Operations Command (MOC) #12 is based on Pa Soh Oo villagers’ land in P’Law area, Ler Muh Lah Township. They have confiscated 49 villagers’ lands. MOC #12 put up a signboard on the villagers’ land and wrote on the signboard that it is [now] the battalion’s [command’s] land. Since 1996, [wealthy businessman] U Aung Lin has confiscated many villagers’ lands in Ber Baw Loh village, Ka Pgaw area, Ler Muh Lah Township. He confiscated 1,700 acres of the villagers’ land and that land is now covered in rubber plants which have been planted by him. 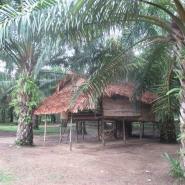 The villagers have had to build their houses in other villages, such as in Ka Pgaw, Ya T’Pa, and Boo villages. Now that the ceasefire has taken place the villagers want to go back to their own village. They submitted the case to the KNU members responsible for reclaiming land. The responsible KNU members and some government staff who are living in Blee D’wee [Mergui-Tavoy District] held discussions on land issues from 2013 to 2015, to support the villagers in regaining their land which had been confiscated. Even though they [KNU and government staff] took action to support the villagers to regain 150 acres of land, the villagers dared not go back there because U Aung Lin threatened to fine the villagers. [U Aung Win says he] would fine the villagers 250 million kyat (US $194,567.50) for returning to the 150 acres of land which has been reclaimed. They were informed [of this] by [Burma/Myanmar government] administrator U Kyaw Oo. The above information reports the situation in Ler Muh Lah Township. [The report includes] the Tatmadaw situation, the healthcare situation, the education situation, the villagers’ situation, the company situation and human rights abuse. I wrote up this information to let the leaders of KHRG know these situations. 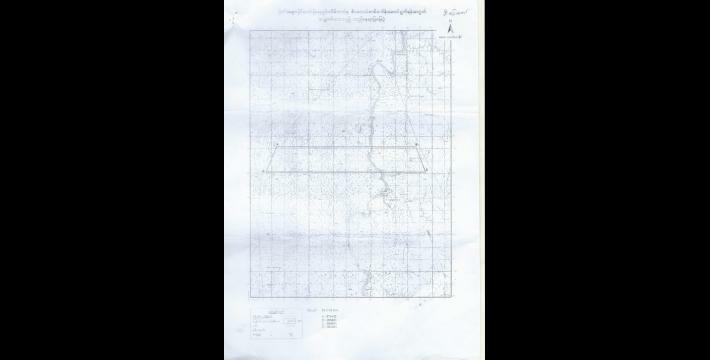 The above pictures show copies of an endorsement letter and map obtained by a KHRG community member on May 18th 2015. 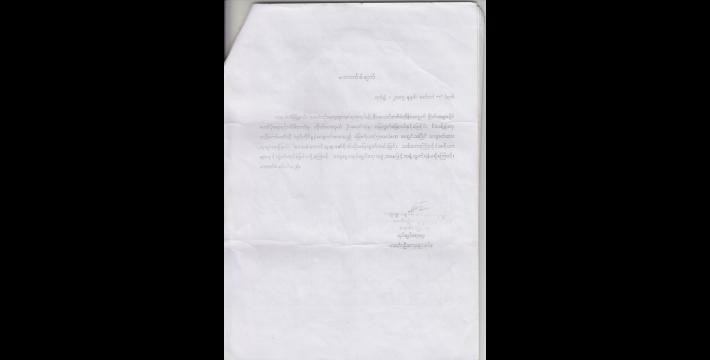 The picture on the left shows one of the six endorsement letters provided to the individual members of Myeik Public Corporation by the Burma/Myanmar government local administrator. 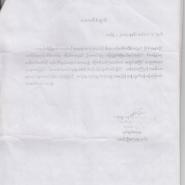 Each of the six letters is identical, apart from being addressed to a different member of Myeik Public Corporation. The endorsement letter is dated March 10th 2015 and states: In terms of conducting a biofuels project in Thin Baw Oo area [village tract], Ta Naw Th’Ree Township, there is no one who is competitively applying for the land. The land, which the representative from the Myeik Public Corporation, U San Maung, is applying for permission to conduct the project on from the Wild Land Management Central Committee, stretches over 5,000 acres. It is not cultivated land used by the local farmers. It is also not community land. For these reasons, the village administrator does not have any objection and endorses [the project].The letter is signed The village administrator, Thin Baw Oo village tract. Military Operations Command. Comprises ten battalions for offensive operations. Most MOCs have three Tactical Operations Commands (TOCs), made up of three battalions each. The researcher is referring to villagers returning to their original villages after the signing of the January 12th 2012 preliminary ceasefire agreement between the KNU and Burma/Myanmar government in Hpa-an. However, on October 15th 2015, after a negotiation process marred with controversy over the notable non-inclusion of several ethnic armed groups and on-going conflicts in ethnic regions, a Nationwide Ceasefire Agreement (NCA) was signed between the Burma/Myanmar government and eight of the fifteen ethnic armed groups originally invited to the negotiation table, including the KNU, see “Myanmar signs ceasefire with eight armed groups,” Reuters, October 15th 2015. For KHRG's analysis of changes in human rights conditions since the preliminary ceasefire, see Truce or Transition? Trends in human rights abuse and local response since the 2012 ceasefire, KHRG, May 2014. In August 2015, further information was provided by the community member: A woman was found beheaded at her home, her head missing from the scene. A local KNU administrator and Burma/Myanmar government staff both visited the crime scene, but there are currently no leads on a likely perpetrator or motive for the murder. The community member explained that villagers in the area are extremely concerned following this incident, and some believe the beheading to be related to a rumoured local practice of “head-cutting”, where victims are decapitated and their head placed under a bridge in order to increase the strength of the bridge. According to Karen news source Kwekalu.net, the woman had been living by the work site in K’Soo Hta (K'Suh Hkee) area, Ler Mu Lah Township, K’Say Hta village for 15 days prior to her murder. She was alone at home when the incident took place. The KNU Ler Mu Lah Township administrator said that when she was found, “Her right arm was almost severed at the shoulder and her legs were broken. She had been beheaded and her head was taken by the perpetrator. She was 48 years old.” See more at: “Lady found, beheaded,” Kwekalu, May 2015 (Karen version only). The Burma/Myanmar government has in fact given MSPP permission to use 42,000 acres of land. According to Karen News, villagers from Ta Hpoh and Baw Ta Naw signed a petition along with villagers from nine other villages in Mergui-Tavoy District that was then sent to the KNU and Burma/Myanmar government. 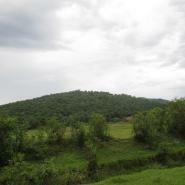 The primary request of the petition was an appeal for compensation for the 2,000 acres of land that has already been cleared and planted by Myanmar Stark Prestige Plantation Company, who in 2011 received a license from the Burma/Myanmar government to use 42,000 acres of land in the area. See more at: “Villagers who lost land to Malaysian palm oil plantation sign petition asking for compensation to the KNU and state govt,” Karen News, December 2014. Although referred to as the Asia World Company by the KHRG community member, the company in question here is most likely the Asian World Company. The Asian World Company is Burma/Myanmar’s largest and most diverse corporate conglomerate comprising many subsidiary companies, with investments in numerous industries including infrastructure and industrial development, transportation and import-export. 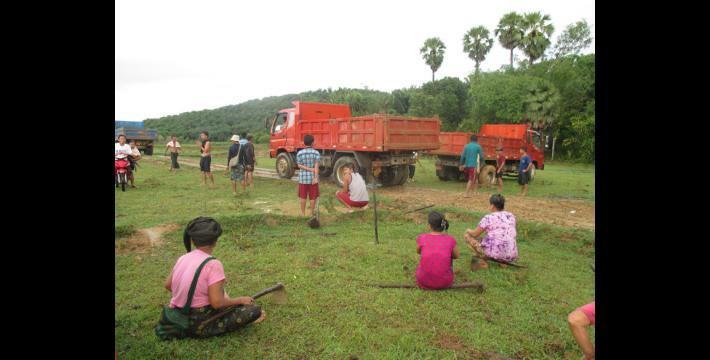 Unable to remove the villagers from the land the Asian World Company has apparently changed tactics and convinced the villagers to carry out the construction of a road that serves the purposes of the plantation. 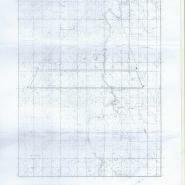 Six endorsement letters were provided to Myeik Public Corporation by the local Burma/Myanmar government administrator, each addressed to a different individual member endorsing the use of six separate 5,000 acre parcels of land; attached to each endorsement letter is a map identifying the location of that particular 5,000 acres of land. Consequently, Myeik Public Corporation has been granted the use of 30,000 acres of land in Thin Baw Oo village tract, Ta Naw Th’Ree Township. In Karen culture the term Uncle is used to refer to an elder male individual and does not necessarily refer to actual familial relations. All estimates for the kyat in this report are based on the July 20th 2015 market rate of 1,157 kyat to the US $1. Military Operations Command. Composed of ten battalions for offensive operations. Most MOCs have three Tactical Operations Commands (TOCs), made up of three battalions each.